Christian Bikers from around the nation come to this site to find more about the Road Riders for Jesus Motorcycle Ministry. If you love motorcycling and Jesus you are on the right site, welcome home! It doesn’t matter to us if you ride a Harley, Honda, Yamaha, Kawasaki, or what you ride. In fact if you don’t currently have a motorcycle you are welcome. 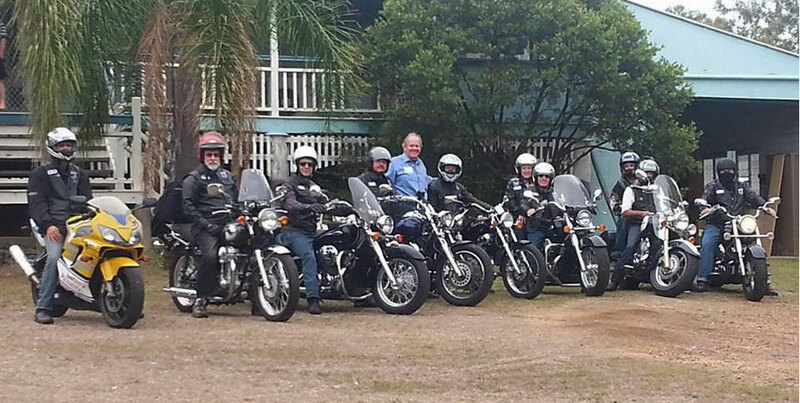 Since the beginning we didn’t want to be just a motorcycle club or association. Instead we’ve put all our emphasis on being a Christian Motorcyclists Ministry. Feel free to explore the site and contact us about any questions you may have. Now that you have found our site, we’d like a chance to get to know you. Join us or contact us for more information! It is exciting to see how we are continuing to branch out in different areas. We now have chapters meeting and members all over Australia. Check out our find a chapter page in the chapter section to see if we have one near you yet. If not, don’t be disappointed. We are interested in starting a chapter near you. Contact us if you would like to start a chapter or if you want to be contacted when one starts near you. You don’t have to prospect with us, or go through a lot of red tape in order to wear our back patch. If you are a Christian according to Romans 10:9-10 you are welcome to join. As a member then you are immediately eligible to wear the Road Riders for Jesus M/M back patch. We have our Chapter Constitution posted in the chapter section. We also have an explanation of the Road Riders for Jesus Logo’s meaning posted. We have done this to show you right up front who we are and what we stand for.